Do you know how to handle criticism and rejection? What about the even tougher task of handling them in the online world? A world where people can so easily (and often anonymously!) dole out harsh words without ever having to be accountable. Have you ever been on the receiving end? Most of us already have a fear of putting ourselves out there. It’s a vulnerable place, and exposing our true selves and beliefs can be a little scary. Not everybody is going to like what we do and who we are. That’s just the way it is. And that’s totally ok! So, how can we prepare ourselves to be stronger, more confident and better able to handle whatever comes our way? 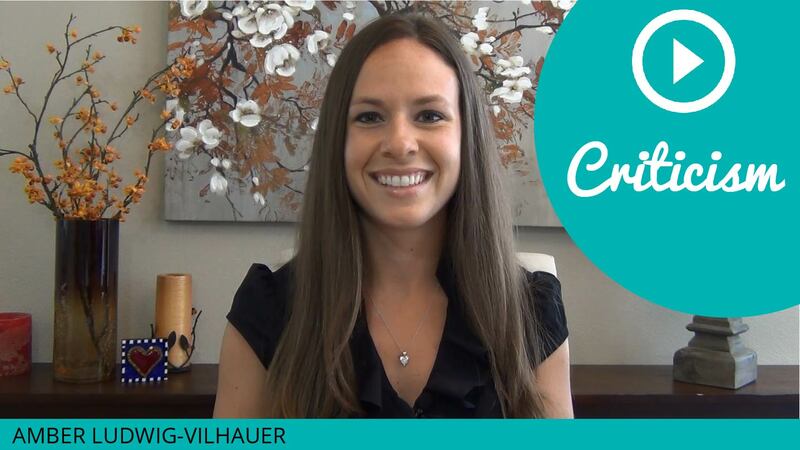 If you want to know how to handle criticism and not let it stop you in your tracks, you’ll love this Fast Track video! Share this post with others so they can get the inside scoop on handling criticism! Simply click the social media sharing buttons below to impact some lives now!! Great video! Thanks for the words to share when we get “attacked.” Sometimes we are dumbfounded when it happens. Thank you, Liz! You’re right, it can throw us off balance when it happens. But now … you can be prepared just in case! I’m so glad you found this video helpful!